I am really enjoying reading short stories. When I first got my iphone and discovered ibooks I think I was like a kid in a candy store. Downloading freebies and buying books of my fave authors, some of those still sit there unread. So, I thought I would mention a few of the short stories I have read. 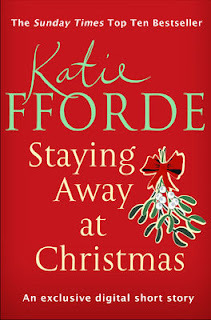 Thanks to the joys of Twitter I saw someone mention Katie Fforde's Staying Away At Christmas, I have seen a lot of Katie's books but never got around to them. I noticed this book was 99p and downloaded it, it is safe to say I devoured this short story very quickly. There was also an extract from her next novel 'A French Affair' which I am desperate to read now. So thanks to my iphone I have discovered another fabulous author. Now the last thing you expect when you book a cottage at Christmas is to be double book this is what Miranda finds when a young boy knocks at the door followed by a rather grumpy dad Anthony. This is a loveable read that shows a little bit of kindness can go a long way. You never know you may meet the love of your life. The lovely Miranda Dickinson sent her malling list a present via email I recently devoured the awesome 'After You've gone' a truly wonderful and oh so inspiring read. The story focusses on the life and times of a musican showing the good and the bad. The sad yet inspiring part of this story is that Harry should have recorded the songs his wife longed to hear when she asked. It showed me that anything that you can do today should not be put off. 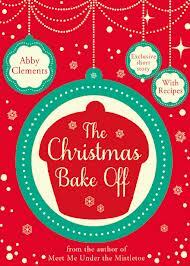 The Christmas Bake Off was my first introduction to the lovely Abbey Clements I devoured this very quickly. A feel good book, I loved the sense of community and tradition. I had also been looking at reading her other festive novel 'Meet Me Under The Mistletoe' which features Rachel from this. I loved the fact I had already got to know Rachel and Milly and in some ways the stories kind of linked I liked that. There are probably a few more I could mention but I have brain freeze. Do let me know of any short stories I shouldn't miss out on? Feel free to leave me a comment I am always on the lookout for more shorts. ADDICTED!!! I shall have a Kindle soon I can feel it.